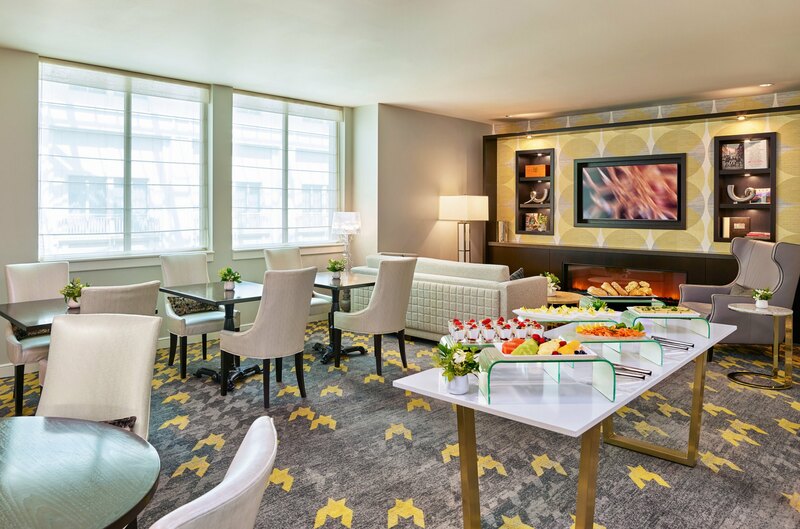 Escape into the exclusive Club Lounge, open only to guests of the 12th floor, for an equally elegant retreat. Food and drink presentations delight guests throughout the day. A flat screen television and computer with complimentary High Speed Internet Access invite guests to take advantage of the serene space. Club Level Concierge available to assist guests throughout our morning and afternoon food & beverage service.